MANAV VIKAS BAHUUDESHIYA SEVABHAVI SANSTHA is located in LATUR Maharashtra . MANAV VIKAS BAHUUDESHIYA SEVABHAVI SANSTHA is registered as a Trust at LATUR of state Maharashtra with Ngo unique registration ID 'MH/2013/0061575' . 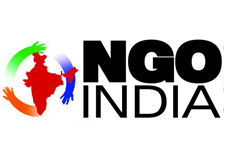 The NGO registration is done by Charity Commissioner with registration number F8482 on the date of 10-05-2000, Its parent ORganaisation is PaulFoundation. The Chairman of MANAV VIKAS BAHUUDESHIYA SEVABHAVI SANSTHA is SHIVPUTRA KAHINATHAPPA SHIVANGE and Chief functionary officer is SHIVPUTRA KAHINATHAPPA SHIVANGE.